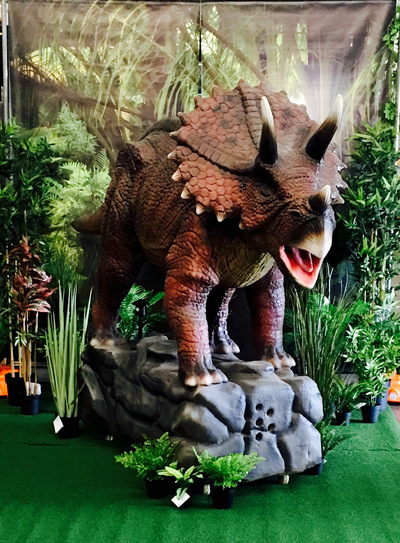 Calling all Dino fans, there's an opportunity to meet a Giant Dinosaur in Lombard Alive's Melbourne mini tour! 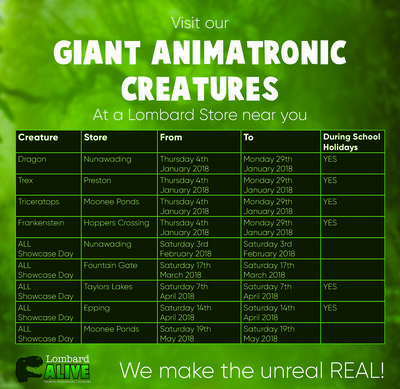 Lombard (The Paper People) introduce these free & fun interactive animatronic 'larger than life' experiences for children of all ages. Meet a giant super realistic T-Rex, a Triceratops, a friendly Dragon and a spooky Frankenstein. This is a great opportunity to snap a selfie or two and while you're there, enjoy a host of fun, free activties including a sausage sizzle, face painting, photo booth, activity station and a lucky dip. Where: Lombard Stores throughout Melbourne this February, see below.